Use complex passwords: Your passwords should always be a complex string of letters, numbers, and symbols, including both capital and lower-case letters. Try to keep them as random as possible, without including any specific words or phrases if you can help it. This reduces the chance that your password will be guessed by a hacker. Use different passwords for each account: If you use the same password for every single account you have, you run the risk of one password exposing multiple accounts to hackers. Using multiple complex passwords can make them difficult to remember, however, which leads us into our next point. Use a password manager: If you’re following password best practices, you’ll notice that remembering passwords is difficult--especially when they are all different and complex. A password manager can store your passwords in a secure vault for access when they are needed, allowing you to use complex passwords at all times without needing to remember them. It sure beats writing down passwords in a Word document or elsewhere, and it’s much more secure than doing so. There are even password managers for businesses that let employers dish out certain credentials to staff in a safe, secure way. While password best practices are important to ensure maximum security for your accounts, they’re often not enough to secure your business. Hackers are always trying to find new ways to crack even the most powerful of passwords. This is where two-factor authentication comes in. A hacker might be able to replicate the password, but can they replicate your accounts needed for access? Two-factor authentication works by using a device or email account as a secondary credential for accessing an account or network. The obvious example is a smartphone, which can receive an SMS text message with a code needed to log into an account. Others might have codes sent to secondary email accounts. Either way, the point is that these types of credentials can only be received by the holders of the device, which is much more difficult for a hacker to take advantage of. 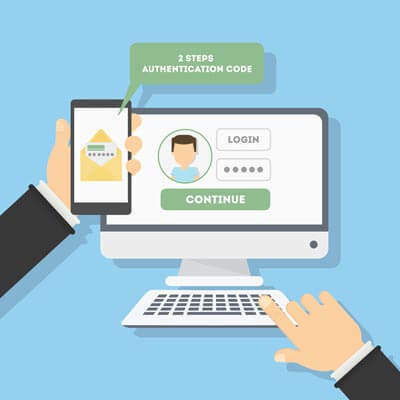 There are even some types of two-factor authentication that utilize biometrics and near field communication technology (NFC), allowing for even more complexities that hackers will sigh and shake their heads at. If your business needs to protect sensitive data, two-factor authentication is definitely one line of defense you will need. 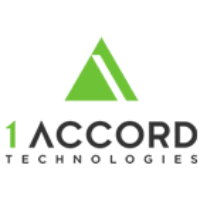 1 Accord Technologies has a solution for you. To learn more, reach out to us at (706) 473-0669.